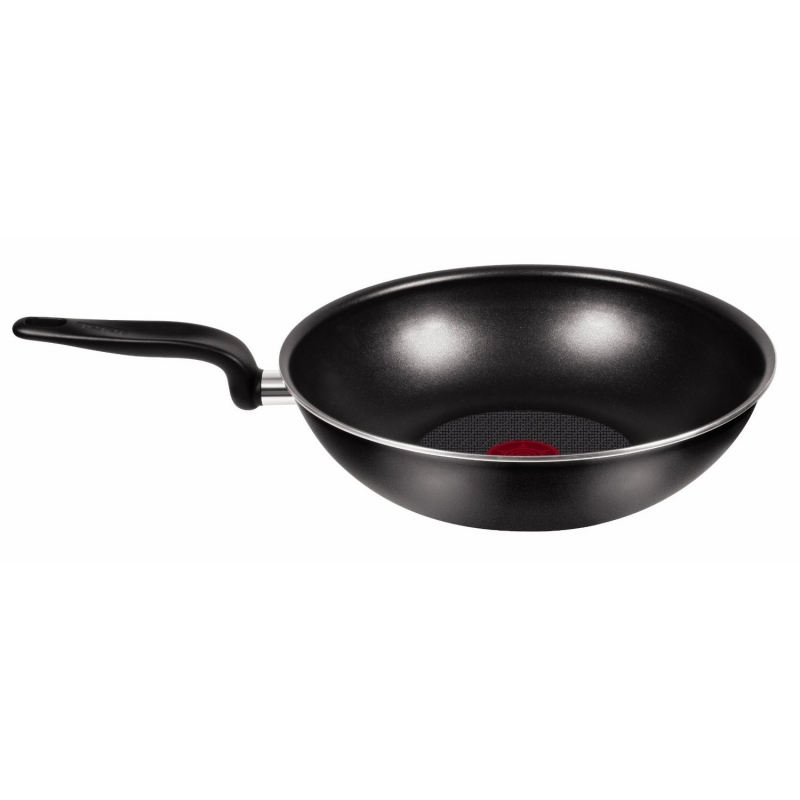 This non stick pan is ideal for frying or cooking Indian dishes. Enjoy stress-free, healthy cooking with Tefal's range of Enjoy pans. Precision-engineered, the Enjoy range is designed to be a kitchen essential. The range has Longlide coating that promises a durable non-stick cooking performance, without the need for oil. It features durabase technology, which ensures there are no hot spots for even cooking. Raised cool touch handles prevent the risk of burning hands and the pans are oven safe up to 180 degrees. Like every pan in the Enjoy range, the 28cm stirfry pan, ideal for healthy stirfy meals of lean meat or fish and vegetables, features the Thermo Spot. The Thermo Spot is Tefal's unique heat indicator, which glows solid red to let you know when your pan is pre-heated to 200 degrees, the optimum temperature to start cooking. With the Thermo Spot, there's no risk of the pan overheating or underheating. It enables you to sear your food at just the right temperature to seal in the flavour, in the same way a professional chef would.